“I could not be happier with how well this book has done. 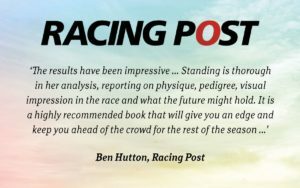 I knew when I first had the idea to write about point-to-point horses I may unearth some hidden gems, but I am staggered by the fantastic results so far. The endless hours of researching, watching replays and seeing horses in their yards has certainly paid off, and there are still plenty more exciting names to make their debuts. The Jumps season always means there are a whole host of new potential stars about to break onto the racing scene, many of which will descend from the point-to-point ranks. Jodie trawled the length and breadths of the English and Irish point-to-point field and has unearthed many exciting recruits which are set to make their debuts under Rules in bumpers and novice hurdles for their new connections this season. She is focusing on their physical appearance, character and likely optimum racing conditions. 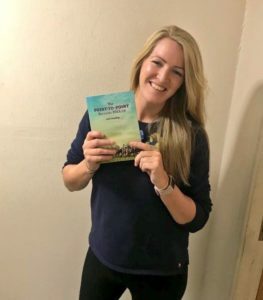 This book includes horses that have joined top yards such as Nicky Henderson, Paul Nicholls, Gordon Elliott, Willie Mullins and Colin Tizzard. Jodie also focuses on horses which will do well for smaller yards such as Michael Scudamore, Rose Dobbin, Jamie Snowden, Tim Vaughan and Fergal O’Brien. Irish point-to-points are vital nursery introductions and have paved the way for many of racing’s biggest names including – Denman, Florida Pearl, Best Mate, War Of Attrition and Imperial Commander, whilst most recently One For Arthur, Native River and Samcro have been flying the flag. 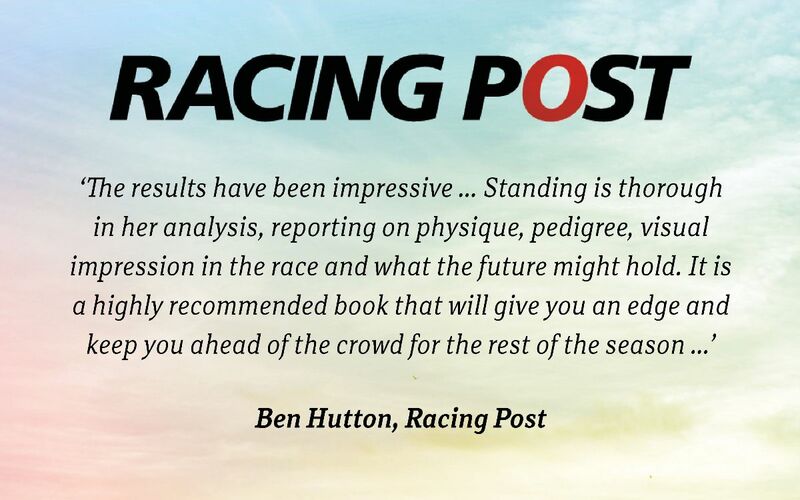 Subscribers to the Weekend Card will also receive regular updates on the horses she follows throughout the season.